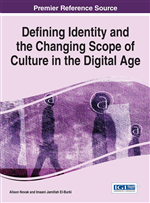 This chapter examines the revolution in self-representation across the cyber-space engendered by the advent of new interactive social medias. It argues that in the attempt to face the challenges of self-imaging in everyday life and in an era where discourses of “identities in flux” have become the norm, photographic trends on Facebook usage seek to portray a sense of coherence of the self through popular media practices. In this dimension, the new media spaces have provided a propitious space of autobiographic self-showing-narrating through a mixture of photos/texts in a way that deconstructs the privileges of self-narration hitherto available only to a privileged class of people. The self (and primarily the face) has thus become subject to a dynamic of personal and amateurish artistic practices that represent, from an existentialist perspective, the daily practices of self-making, un-making and re-making in articulating one's (social) being. As a point of entry, let us pose the following questions with regard to the relationship between the camera, the cyberspace and the art of representation of reality: In recent times, can there be a life now without the camera pointed at the face, coercing it to surrender to the media? In recent media expansion, can “to be” now be anything less or other than “to be online”? What are the boundaries and horizons of a private life? Can there be any clean-cut distinction between private and public? Is there anything that is more real now than what is “virtually tangible”? This chapter examines the poetics and tactics of self-invention, self-imagination and self-representation in the social media and how that has led to a new culture of the self in the everyday life. This article focuses specifically on the phenomenon of Facebook, one of the most popular of these media and one that arguably has the most revolutionary effect by its accessibility and capacity to make the face/self visible. On Facebook, the image culture of late capitalism is brought home to the self in a very literal sense. The chapter thus seeks to probe into the mechanics of self-representation on Facebook and how this enhances new insights about self-creation and self-invention in the social mediascape. We live in a visual age and what consumes one’s visual energy is of ultimate importance. The social space has become a battleground of vision between different medias and mediating screens. What attracts visual attention in real life has come under virulent competition from omni-present screens offered by new communication technology and the tertiary industries of social media outlets. In the subway or in the buses, passengers are glued to their screens and their facial reactions/mental mechanisms are more influenced by the mediated world in which they are engrossed than by what actually takes place around them. The waiting rooms, the subway waiting stations constantly assail the visual subjects with enormous energy. Henceforth, the question of visual consciousness of one’s presence and location in space cannot be examined without proper and due consideration of the virtual dimension of our being and existence.